Join respected fitness industry strategists and Marketing For Gyms and Personal Trainers directors, Frank Smarrelli and Brad Cusworth as they co-host their very own Podcast – The Fitness Business Marketing Show. The quickest way to achieve success in business is to simply model successful people. When you tune into The Fitness Business Marketing Show you’ll have instant access to incredible knowledge that will literally transform your entire business. Frank and Brad will cover a wide range of marketing topics, have special guests sitting in, as well as having a little fun a long the way. In this week’s show we will cover some tips for using Facebook Live videos on your personal profile, business page and also within private Facebook groups. Frank will be answering a question about paying additional sales commissions to your staff as an extra incentive. Brad will be answering a question from a Personal Trainer about how to easily accept online payments. Finally Frank will be launching into this weeks weekly rant about working to a monthly marketing budget. In this week’s show we will cover the top 5 tips to start generating results with your Instagram pages. Frank will be answering a question from a sales manager about the most important statistics to track with their team. Brad will be answering a question from a Personal Trainer about how to add more value in your 8 week transformation challenge programs. Finally Frank will be launching into this weeks weekly rant. If you are not willing to make changes in your fitness business…then you can’t expect different outcomes!! In this week’s show we will cover 3 powerful tips to maximise productivity and efficiency. Frank will be answering a question about the best new member induction process. Brad will be answering a question from our listeners about the most powerful tips to improve your social media results. Finally Frank will be launching into this weeks weekly rant about the importance of social digital video marketing. In this week’s show we will cover a powerful process to reflect on 2017 and set yourself up for a massive year in 2018. Frank will be discussing a book review from Janine Allis – the founder of Boost Juice who created a multi-million dollar empire from scratch. I will be answering one question from our listeners about how to leverage your PT business and generate more income. Finally Frank will be launching into this weeks weekly rant about doing things differently in 2018 to ensure it is an epic year of success! In this week’s show we will cover a powerful 7 step success formula to achieve your goals. Frank will be discussing a book review called The Solutions Focus which is all about doing more of what works and less of what doesn’t work. We will be answering two questions from our listeners including a powerful video marketing strategy and some tips to get more testimonials and reviews from your Personal Training clients. Finally Frank will be launching into this week’s weekly rant about getting with the social platform program. Enjoy the show! In this week’s show we will cover some powerful time management strategies to be more productive in your business. Frank will be discussing a movie called The Secret and revealing an essential element that was completely missing from this movie! We will be answering two questions from our listeners including the best retention strategies for studios and a perfect model to sell custom online programs. Finally Frank will be launching into this weeks weekly rant about keeping your eyes focused on the prize! 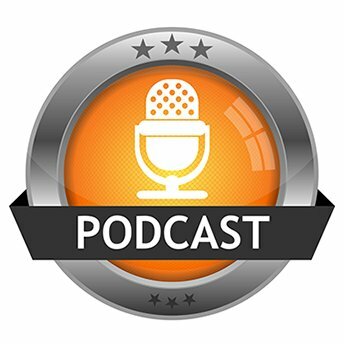 Co-hosts Frank Smarrelli and Brad Cusworth don’t hold back in Podcast Show #6. Brad talks openly about his wife’s very successful Boot camp business where she makes $90,000 per year with only 6 contact hours per week. Brad also takes you through the best lead generation system he has seen in the last 20 years. As usual Frank takes the listeners through his weekly rant. If your sales conversion is not growing then it is literally impossible to grow your fitness business… a rant not to be missed. In episode #5 of The Fitness Business Marketing Show we discuss the importance of mindset when it comes to developing a successful fitness business. Frank discusses the future of marketing and where it is heading and launches in to his weekly rant about one night stand selling! We also cover some powerful tips to improve your client retention and discuss the power of upselling and cross selling products to increase your income. Enjoy this weeks show! Join co-hosts Frank Smarrelli and Brad Cusworth on the Fitness Business Marketing Show – Episode #4 as they talk about the growing popularity of Instagram and why they didn’t teach it as a marketing platform 2 years go. Frank talks about one of his favourite apps and together they dissect the Facebook newsfeed do’s and don’ts. Also Frank’s weekly rant about how to be more successful in the fitness industry. 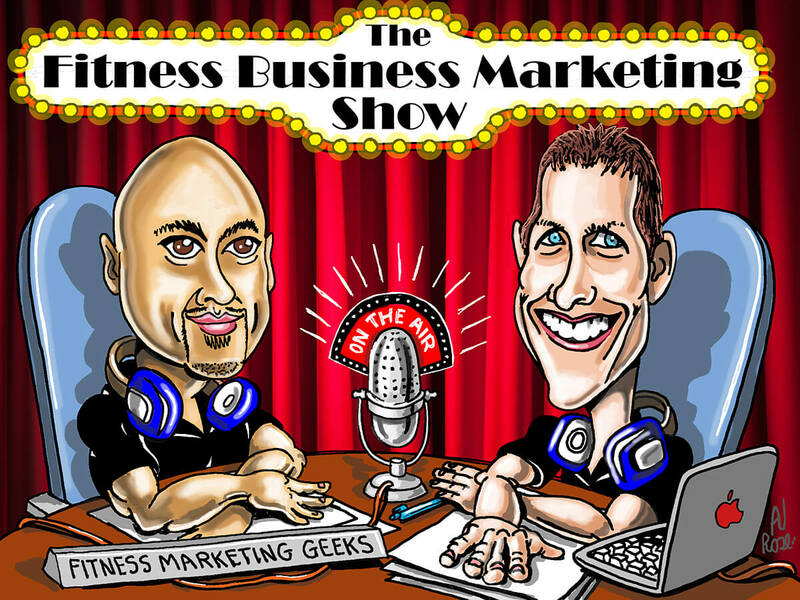 Join co-hosts Frank Smarrelli and Brad Cusworth on the Fitness Business Marketing Show – Episode #3 as they talk about the growing popularity of online programs. Frank shares his thoughts on one of his favourite books by Dr. John Demartini. The boys also talk marketing on a shoe-string budget and of course listen to Frank’s weekly rant. Co-hosts Frank Smarrelli and Brad Cusworth don’t hold back in the Fitness Business Marketing Show Episode #2 as they navigate their way through DYI websites, Facebook posting and running Transformation Challenges. In this week’s podcast Frank has a swipe at personal trainers and club operators that do their own DYI graphic design. nMaking your brand look cheaper to save a few dollars isn’t what your business needs. A must listen to. Frank Smarrelli and Brad Cusworth discuss why 80% of personal Trainers globally are failing to work in the fitness industry for more than 3 years and what to do about it. Additionally, in his weekly rant Frank covers why clubs need to do more marketing to survive in a competitive market. The key message is do you want to be another face in the crowd or stand out in the crowd?